Raksha Bandhan means “bond of protection”. The word Raksha means protection, while Bandhan is the verb to tie. The festival celebrates the love and duty between brothers and sisters. It is also popularly used to celebrate any brother-sister type of relationship between men and women who may or may not be biologically related. On Raksha Bandhan, a sister ties a rakhi (sacred thread) on her brother’s wrist with a prayer for his prosperity and happiness. This symbolizes the sister’s love. The brother gives her a token gift and a promise to protect her. This year Rakhi is being celebrated on 7th August 2017. Raksha Bandhan is not only celebrated in India but in a few other countries too, some of them are, Nepal, Mauritius, Pakistan, United States, United Kingdom, Australia, Sri Lanka, UAE, and other. Raksha Bandhan dates vary each year. The festival falls on the Shravan Purnima which is a full moon day of Shravan month. Rajput women would tie threads around the wrists of the warriors before they marched into battle. It was a sign of goodwill and auspiciousness, which would invigorate good outcomes in battle. Get 100% cashback, up to Rs 50 on your first shopping order. 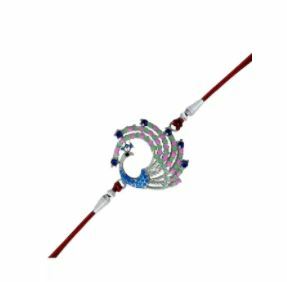 Use the promo code MALL50 and avail the wonderful discount on this Rakhi at Paytm wallet. This rakhi which was worth Rs 1000 now merely can be availed at Rs 49. 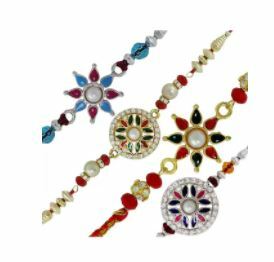 It is a diamond studded free size rakhi with alloy metal best for your brother’s wrist. It has a High-Speed hybrid ceramic ball in the center to ensure the smoothest rotation a good choice for killing time, Help sufferers relieve stress and anxiety. Also, effective for focus and deep thought. If you use promo code TOYS10 then the customer gets an additional get 10% cash back in the Paytm wallet. However, Cash On Delivery option then will not be available to be applied on the checkout. Rakhi Combo is made with alloy and studded with cubic zirconia (CZ) stone. Let this beautiful rakhi adorn his wrist this Raksha Bandhan. This rakhi will cherish your brother’s life. Special super saving combo offer which includes the three rakhis, one pair Bali and one kumkum and haldi leaf set. Well!! not just this use the promo code MPIPHONE7 in which when you Buy 3 or more products then you stand a chance to win iPhone 7. Celebrate this Rakshabandhan with this beautifully crafted feathery peacock shaped rakhi. Studded with gleaming crystals and Pacolorslours mina work, this colorful Rakhi is surely eye-catching. The gulal/ kumkum is free from any toxic chemicals and is completely organic. It won’t harm your skin and you can enjoy applying this without worrying about your health. Rakhi is a thread that symbolizes countless emotions. So celebrate this festival of promise, protection, and love with Etnico diverse collection of rakhis that will take your brothers and sisters by pleasant surprise. 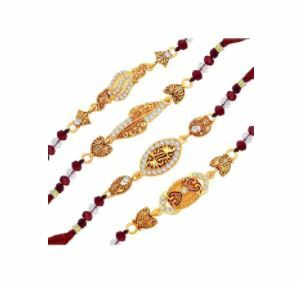 An excellent variety of designer Rakhi to make your brother feel special. Silver, Beads, American Diamonds, Crystals, Enamel work, Golden beads, Zardosi and Kundans give it a rich look. Rakhi is a thread that symbolizes countless emotions. So celebrate this festival of promise, protection, and love with Urbanela s diverse collection of rakhis that will take your brothers and sisters by pleasant surprise. Urbanela offers Traditional & Designer Rakhies for the celebration of the festival of “Raksha Bandhan”. The Sacred Thread Mauli makes it auspicious. It’s light weight and soothing thread makes it easy to wear. Stylish and Trendy Rakhis from the house of YouBella, perfect to celebrate the festival of Rakshabandhan. Traditional pattern design embellished with sparkling stones adorn the entire beauty of this rakhi explicitly. Adorn this rakhi to show everyone how limitless is the love your sister has for you. The Rakhi comes with a pot containing gulal/kumkum and rice. Raksha Bandhan is a great celebration of unity not only between siblings but for the whole of society. 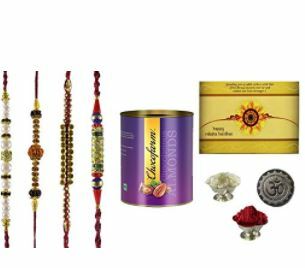 In this pack, you get two Rakhi Bracelate, thali of ritual and Chocolates (6g to 8g). Maalpani offers proper packaging and quick delivery across India free shipping all over India. 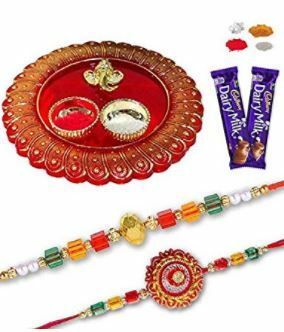 Send Assorted Premium Rakhi thali Gift Hamper for Rakshabandhan. The best part is that Maalpani offers proper packaging and quick delivery across India. Click here to buy Rakhi Gifts on Amazon Offers. How can we imagine Rakhi without chocolates! 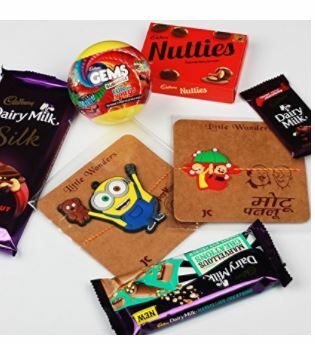 We bring you Special Combo of Cadbury Chocolates with a cartoon character kids Rakhi. The hamper also contains Cadbury Dairy Milk Silk Fruit & Nut, 137 g 1 pcs, Cadbury Marvellous Creations Cookie Nut Crunch, 75g 1 pcs. Cadbury Chocolate, 12.5 g 1 pcs, Cadbury Nutties, 30g 1 pcs, Cadbury Gems, 17g 1 pcs, Assorted Cartoon Character Kids Rakhi 1 pcs. 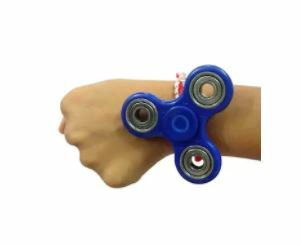 Click here to buy Kid’s Rakhi at Amazon Offers. Raksha Bandhan is a great celebration of unity not only between siblings but for the whole of society. It is a festival that highlights the cultural beauty and integrity of Hinduism and India too. It is a festival that is celebrated in various foreign countries also, and even by people of other faiths. 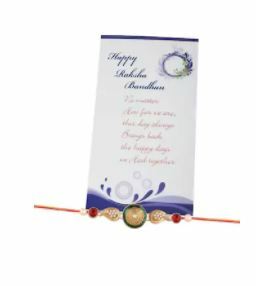 Buy the best rakhi for your brother with mouth relishing sweet combo and make it extra special for him. Get best Rakhi Offers , Rakhi Gifts Offers and Discount at Flipkart, Amazon, Myntra and more. This celebration takes place once a year and in itself is the most awaited festival. Happy Raksha Bandhan. ← Top 6 Buffet restaurant Bangalore.